Iceberg comes into play with X ice counters on it. 3: Put an ice counter on Iceberg. 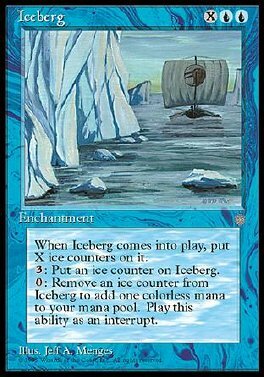 Remove an ice counter from Iceberg: Add 1 to your mana pool.